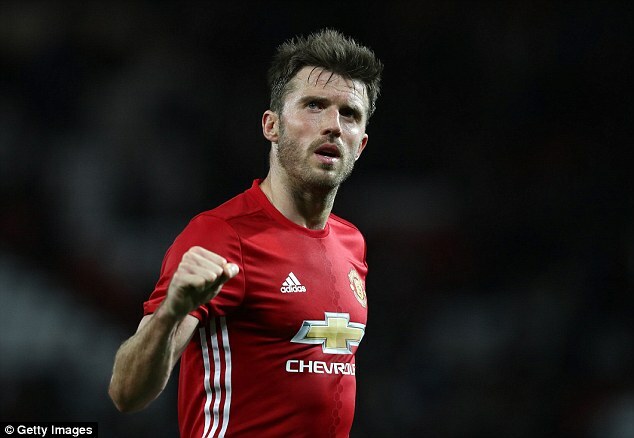 United's recent resurgence has coincided with the consistent presence of Michael Carrick in the team. He had to wait until November for his first league start as Jose shuffled his pack to find the winning formula, but he has proved undroppable since. He has arguably proved to be more of defining influence that United's A-listers Zlatan Ibrahimovic and Paul Pogba. In fact, he's the man who has provided the safety platform for the Reds star duo to live up to their billing but yet so much of his work continues to go under the radar. Carrick may not have the physical dynamism of his midfield partners Pogba and Ander Herrera, but his vision and intelligence has lifted the tempo of their play. He may not be the authoritative and combative presence in the style of Steven Gerrard or a goalscorer in the image of Frank Lampard. Carrick has not had the recognition he deserves because his greatest ability is to get the best out of others. It is his control and composure on the ball, his discipline to maintain his position, the vision to read the game and to make that crucial interception or killer pass that makes him such an indispensable asset. But he is 35 now and we're not going to be blessed with his talents too much longer: Carrick will need replacing and United should think about that now. Morgan Schneiderlin and Bastian Schweinsteiger aren't up to the task and Marouane Fellaini has been linked with a move away. We may not need to look far: in Daley Blind - who has spent of his career in Carrick's position, we could have a ready made replacement. Tim Fosu-Mensah is another who could be promoted from within to fill the void: he shone during his breakthrough season last term and is versatile enough to play in many different positions. He has made only sporadic appearances so far this season and played in defence under Louis van Gaal, but spent much of his early career - at Ajax and then United - in midfield. Unfortunately, there is no stand-out young midfielder in the Reds Academy who is knocking on the door to demand an immediate step up. United have the financial clout and pulling power to attract any player of our choosing and a player in the ilk of Real Madrid's Luka Modric or PSG's Blaise Matuidi would fit the bill. It is a travesty that Carrick only has 34 England appearances, particularly when you think of some of those midfielders that have been preferred ahead of him (Fabian Delph, Scott Parker and Owen Hargreaves to name but three). United have signed enough new players to field three teams since Sir Alex stepped down in 2013. The correlation between our upturn in form and Carrick's re-introduction back into the side might speak more about the flawed transfer policy since then, but should at least finally settle the old issue of his importance to the team.